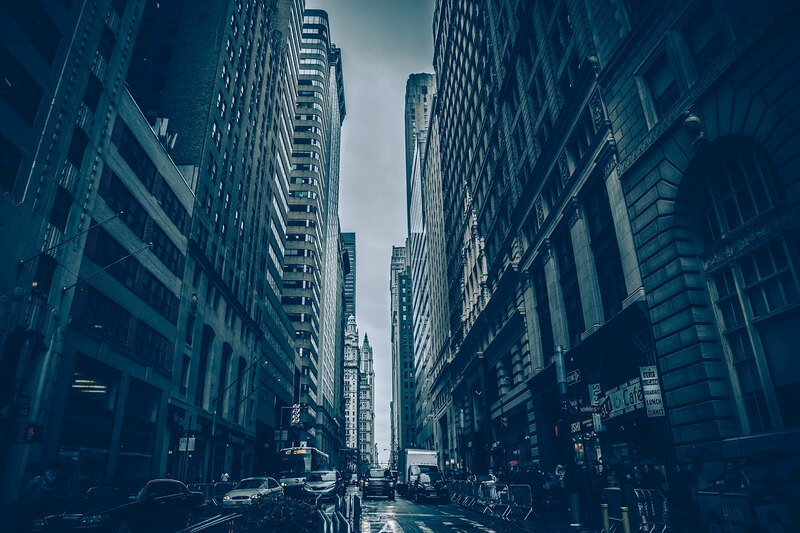 Is it OK to walk? A question I am often asked by runners new to the trails regards walking; walking, that is, during a trail run. Those who have come from a road running background have sometimes become conditioned to seeing walking as some kind of failure, whilst those who are new to running altogether simply don't know whether it's OK to move forwards at a walking pace or not. My response to their question is initially simple; yes, it's quite acceptable to walk during a trail run. Sometimes you have to, sometimes you need to and sometimes you might choose to, and here are some of my reasons why. The terrain you are on might force you to walk. 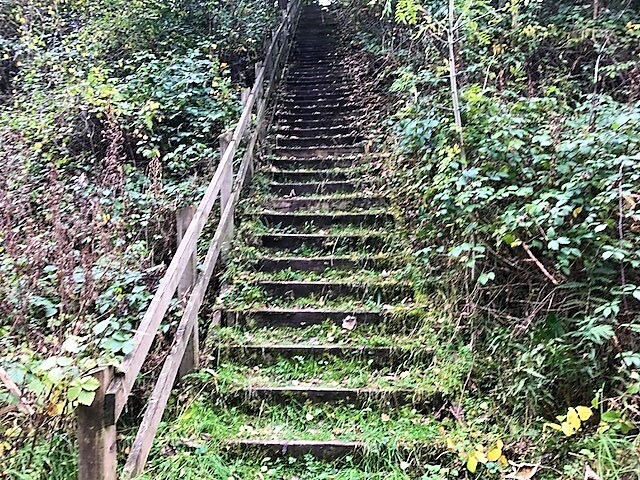 It might be too steep to physically run up or down, or it might be unsafe to move forwards at a faster pace. If you look at the runners on pretty much any fell race and you will see some, if not all of them, walking up very steep slopes. When the gradient reaches a certain angle, running either becomes so slow that walking is in fact just as quick and more physiologically efficient, or running becomes impossible altogether. On a flat trail or path, obstacles in the way can necessitate walking; think freshly ploughed fields, stiles and ice. On a long-distance trail race I ran, a normally dry but rough footpath was flooded for a couple of hundred metres, with no way around. Nearly everyone chose to walk through the calf-deep, murky sludge/water as the holes and tree roots underneath could not be seen. Twisting an ankle with another 29 miles to go was something few people chose to risk. Walking uses different muscles to running and draws less from your energy systems, so taking a walk break can help your body to keep going for longer; it's a mini-recovery session mid-run. The longer the run, the more helpful this can be to your endurance. That's why, in ultra-distance races, you'll often see just as much walking going on as there is running. Most people have to take walk breaks if they want to keep going. The longer the run, the more important nutrition and hydration become. Walk breaks not only allow you to eat and drink more easily, they can also help with your digestion. It’s hard for your stomach to work efficiently if your blood supply is focused on enabling the muscles to run, and that can lead to intestinal issues. Some of the worst stomach pain and bloating I've ever had was caused by trying to eat and drink whilst running to reach a checkpoint time in a race by a certain time. Had I taken the time to walk and digest, I may well have got there quicker in the end, rather than ending up in such discomfort that I could barely move at all. Keeping yourself safe whilst out on the trails sometimes requires you to walk. Crossing an icy bridge or deep, boggy patch may be safer at a walking pace, or as might dealing with a field full of cows. It’s better to be safe than sorry – the more remote the route, the more important this is, especially if you are out on your own or there is no phone signal. Trail running and racing can be a very social sport, one where we runners support and look out for each other. A few minutes of walking alongside another runner who is struggling can mean the world to them; your kind words and companionship may make the difference between them finishing or not. In the world of trail racing where times are not quite the be-and-end-all they can be on the roads, a couple of minutes added to your time does not really matter. It’s beautiful out there in our countryside; after all, that’s why we to choose to run there. Take a minute or two to slow down and enjoy the view; take a picture if you like. Appreciating your surrounds is great for your mental well-being and soul. Never forget that trail running is supposed to be fun and if having a walk as a part of it helps you keep going both physically and mentally, then do it! Walking is most definitely allowed. If you look at the dictionary definition of a hill it's pretty innocuous; a natural elevation of the earth’s surface, a small mountain, but in a runner's world, it can be quite different - a cause of fear, pain and excess sweating; often loathed and avoided at all costs. As a runner, it's easy to develop a profound dislike of any uphill slope. If I had a pound for every time I’ve been asked “But how hilly is it?” whilst talking about a run or race, I’d be a rich woman by now. It’s a favourite topic of conversation amongst runners, whether on trails or the road. Race organisers sometimes play on this, with ‘It’s only a hill, get over it!’ signs on road race routes, and Iron Maiden’s ‘Run to the hills’ blasting out over PA systems to get the pre-race vibe going. 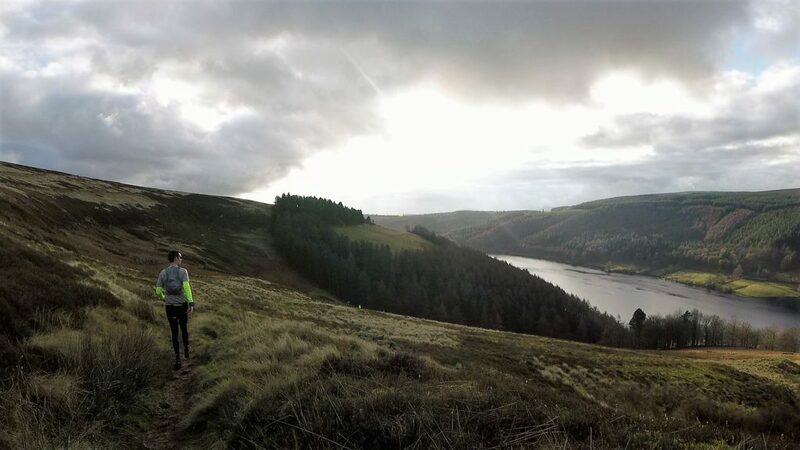 But whereas fell-runners (mostly) love them (after all, hills are what their sport is all about), the rest of us don’t always feel quite the same about the ups and downs we encounter. 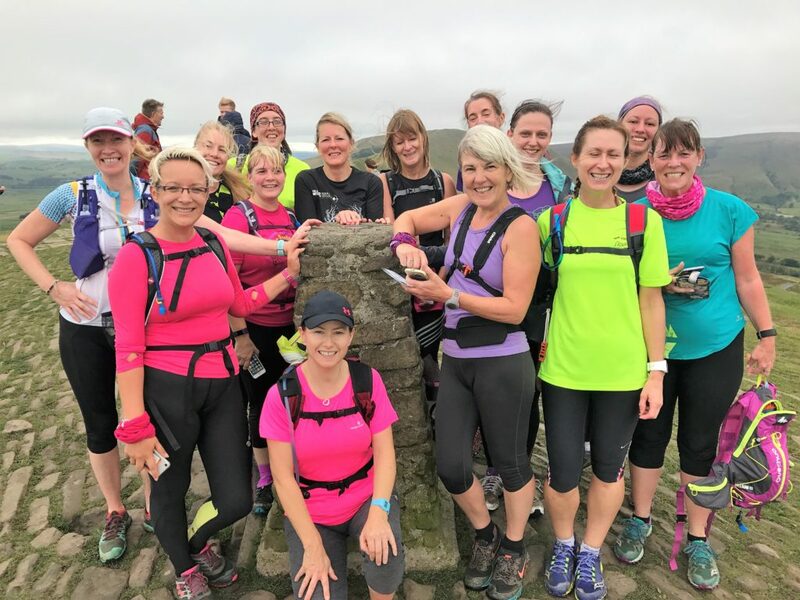 Over the years, I have learned to love running on hills, and whether a beginner or a seasoned runner, here are the reasons why I think you should embrace them too. Hills can be fun - honestly, they can! 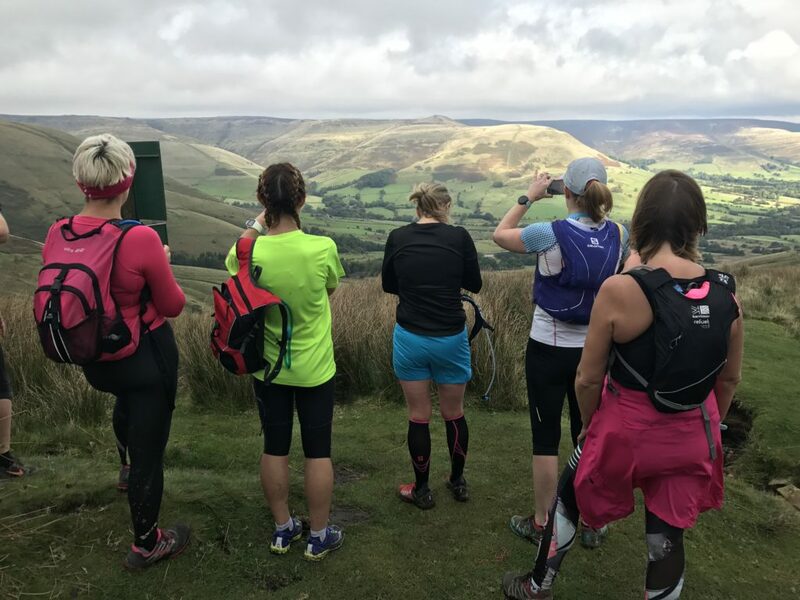 If you can at least tolerate hills then you will be able to enjoy running in some of the most stunning parts of the country. The Lake District, the Peak District, Yorkshire, they are all packed with hills. The very best views can usually be found from the top of a hill and, once you have taken a moment to savour them, the joy of running down the other side often awaits. 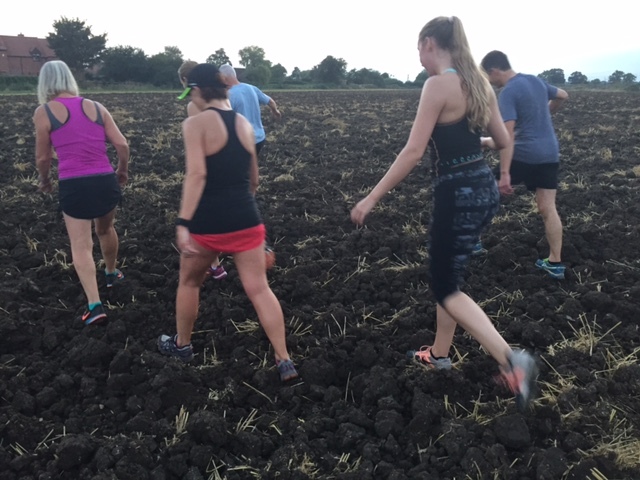 Unless you live in the depths of the Lincolnshire fens or the Somerset levels, hills of some kind or another are pretty hard to avoid; it’s best to get used to them sooner rather than later in your running career as you will have to run up them at some point. If you do live in one of the flattest parts of our country, then seek out whatever slopes you can instead. Bridges, sand dunes, ramps and steps; all can be used to replicate hill-work. Never feel that you have to miss out! Running uphill is great for developing muscle strength and power. Your leg muscles not only have to drive your body forwards, they have to lift the body higher up the slope too. In short, the more uphill running you do, the stronger your legs will become, something you'll notice when you return to running on flatter ground. Alongside your leg muscles needing to work harder to propel yourself uphill, your energy systems have to work harder too. As your body becomes conditioned to doing so, the fitter it becomes and the less out of breath you'll be. Not only will you see the benefits of this in your future runs uphill, you’ll see improvements in the rest of your running too. Hill running will make you faster, a bonus few of us would turn down. Hills can be used as useful in-run recovery time – yes, even the uphills! The longer the run, the more likely you are to see people walking uphill. The slower pace allows your body’s energy systems to regroup (in other words you can get your breath back!) and the change in muscle groups used gives some respite to your legs, as well as your energy systems. 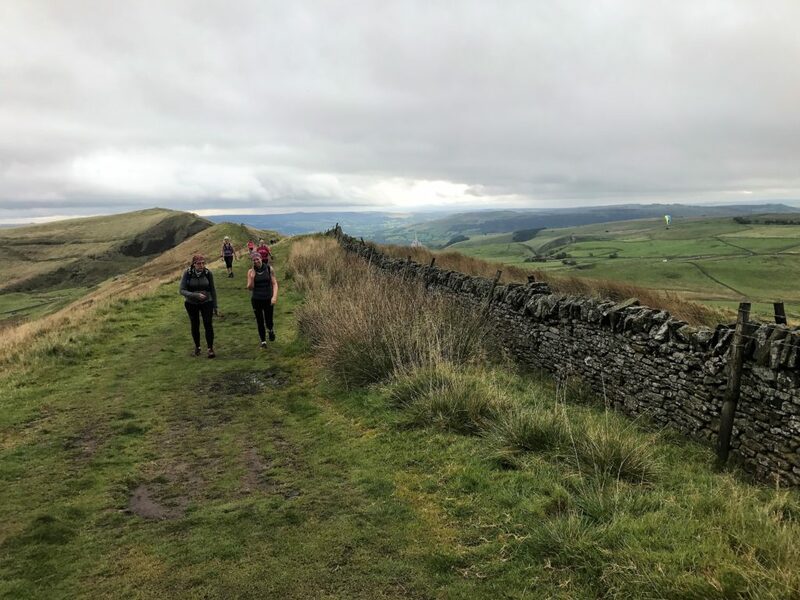 Taking walk breaks on the uphills can pay dividends later on in a run, hence many ultra runners adopt a 'walk the uphills, run the flats and downhills' strategy from the start. Running hills, especially uphill, is a really good way of improving your overall running technique. 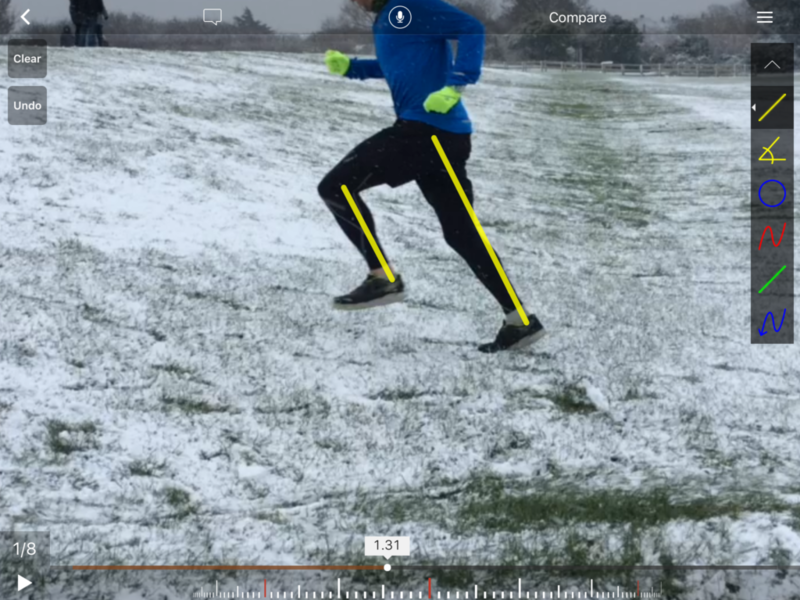 It’s hard to run uphill with poor technique, so, again, the more you do it, the more this will transfer into all of your running. You can use any hill near you as an easy measure of your improvement as a runner. Simply identify a starting point and finish, and time yourself to the top, or see how far you can run up before needing to walk. Seeing the figures improve over time is a real confidence booster. 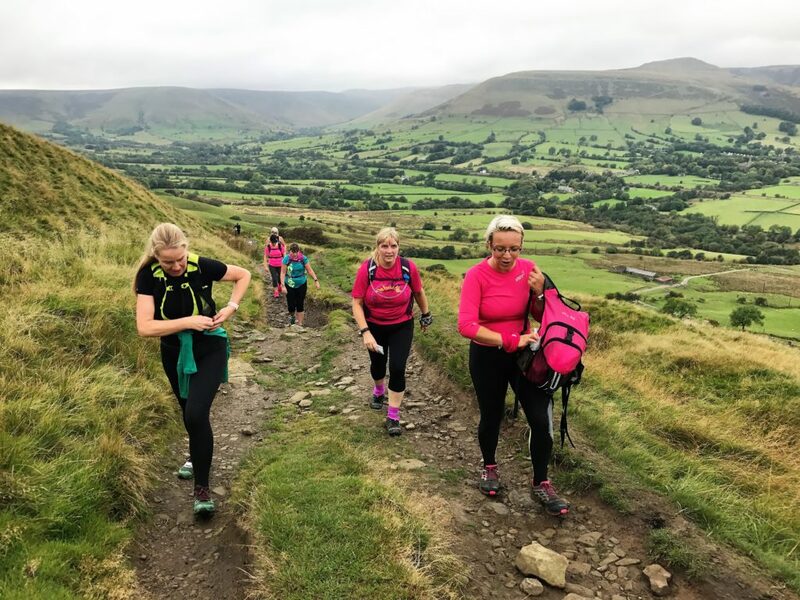 If you train on hills regularly, and improve your fitness on them, you’ll start to pass everyone who still shies away; a well-deserved boost for your confidence! If, like me, you have a nemesis or two, people you often see on training runs or in local races, just the thought of being able to pass them on a hill is a fantastic motivator in itself. 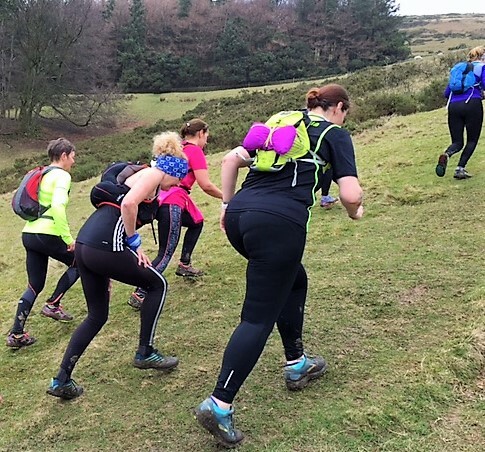 Love them or loathe them, there will always be hills; use them to your advantage and let them help you become a faster, stronger, more efficient runner all round. How do we runners get to needing trail running shoes? Most of us, myself included, start our running careers in a pair of whatever trainers we happen to have at the time; gym shoes, tennis shoes, all-purpose shoes. If we can run in them, they’ll do. At some point further down the road, so to speak, we venture into the complex world of specialist road-running shoes, where cushioning, stability, pronation and a whole host of brand names are added to our vocabularies, as we find a brand and model that we can run for miles in. When it comes to our first ventures off-road, using the same shoes is a natural progression, for they can cope with dry, flattish, hard-packed trails; if we can run in them, they’ll do. 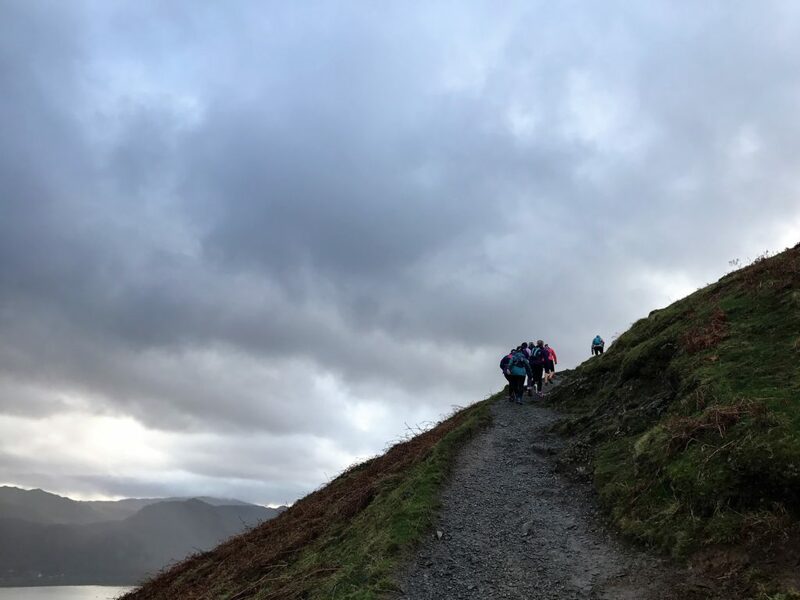 There comes a point, though – usually following an encounter between our backsides and some wet, steep or muddy ground - when every new-to-trails runner realises that trail shoes need to be on our shopping lists if we are to carry on exploring trails and remain upright. Not that many years ago, the off-road shoe section of any running shop often had to be hunted for, and the few brands and models available would be found hidden in some dusty corner, out of sight of most regular runners. Times have changed, though, and trail/mountain/fell shoes now take pride of place on the shelves alongside the road-running shoes. But with such a plethora of makes and models available, where do you begin? What kind of terrain am I going to run on? 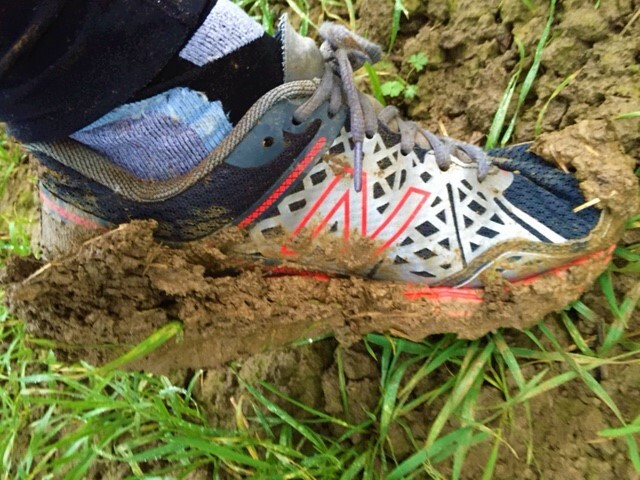 The type of ground you plan to run on is probably the most important consideration of all, for the shoes that serve you well on a hard-packed trail will let you down on a wet, slippery fell-side. Be it woodland paths, muddy field-side tracks, rocky mountainsides or boggy moorland, there will be a shoe to suit. 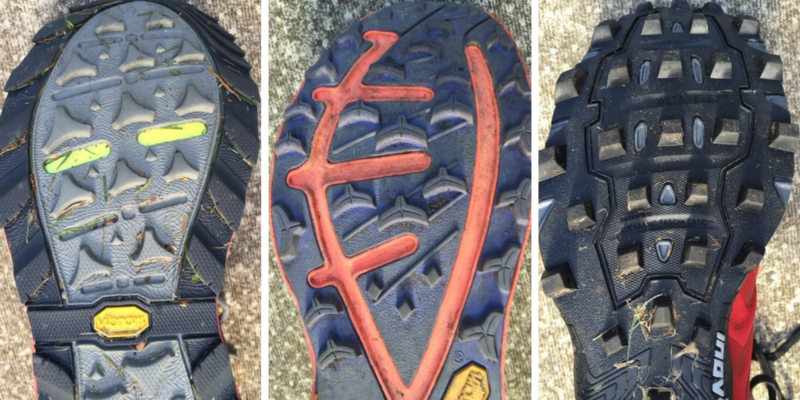 Look at the soles of a range of off-road shoes and you’ll see a real variance. Shoes suitable for hard-packed trails will have a sole not dissimilar to road running shoes; there’ll be a bit more grip, but not much. At the other end of the spectrum, shoes for running on slippery mountainsides will look very different, with large lugs that provide maximum grip. In addition, unlike road running shoes, those designed for trails, fells and mountains are rarely constructed to accommodate variances in gait. When landing on softer, uneven terrain, foot placement is irregular, negating the need for specific support. If you plan on running only on very hard-packed trails and are an under- or over-pronator, though, shoes without the right support could lead to injury, so it may be worth you seeking out one of the few the gait-specific models that are available. Otherwise, don't bother; buy yourself a neutral pair. How far am I likely to run? The further you plan to run, the more important comfort becomes. Shoes that feel fine for a 5-mile cross-country blast are unlikely to feel as comfortable for the length an ultra. 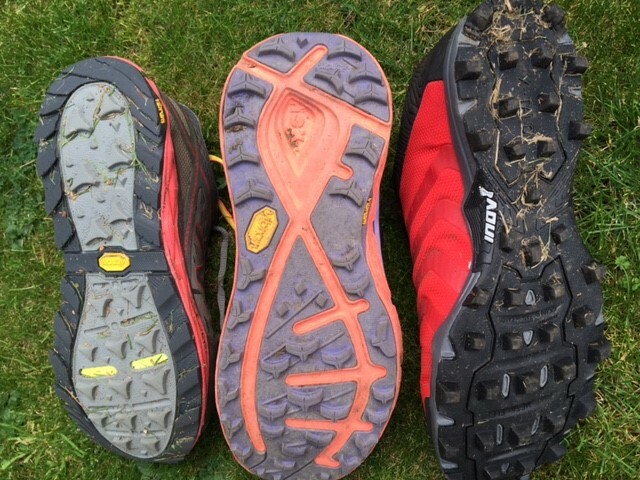 Many off-road shoes, particularly those designed for fell and mountain running, have very little cushioning between the sole of the foot and the sole of the shoe; this is to improve the feel of the terrain under the feet and enable faster movement over rough ground. If you are used to thicker cushioning on your road shoes, wearing shoes like these can come as a bit of a shock when you can feel every stone under your feet! 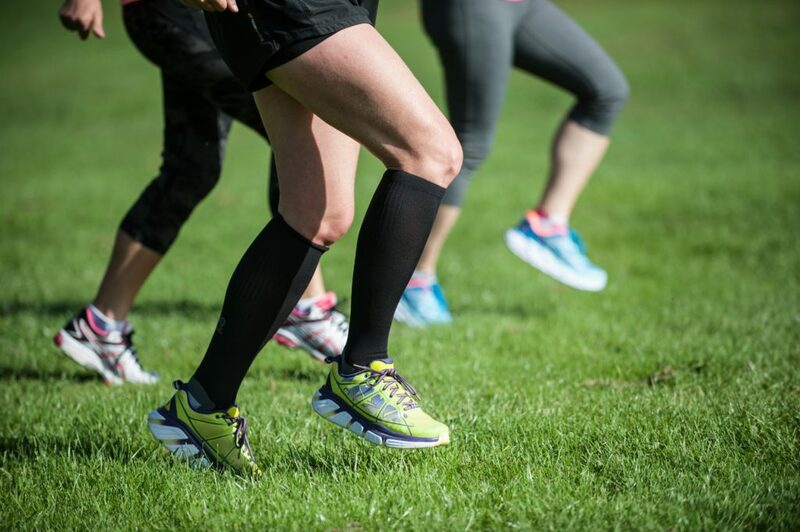 If you know that your off-road running is going to be short and/or fast, then by all means give them a try; if not, you might want to start with a more cushioned pair – your feet will thank you for it! How often am I likely to use off-road shoes? As with road-running shoes, those designed to be used on trails and mountains fall within a vast price range. If you are going to be running off-road several times a week, then buy the best shoes you can afford; the rougher the terrain you are running on, the more the wear and tear on the shoes, so paying for high quality is a must. On the other hand, if you are venturing onto the trails just once or twice a month, you can probably get away with a cheaper pair to get you started. When you fall in love with running off-road (and you will! ), you can always upgrade at a later date. On the subject of money, beware of paying for features that you really don’t need, Goretex being one. 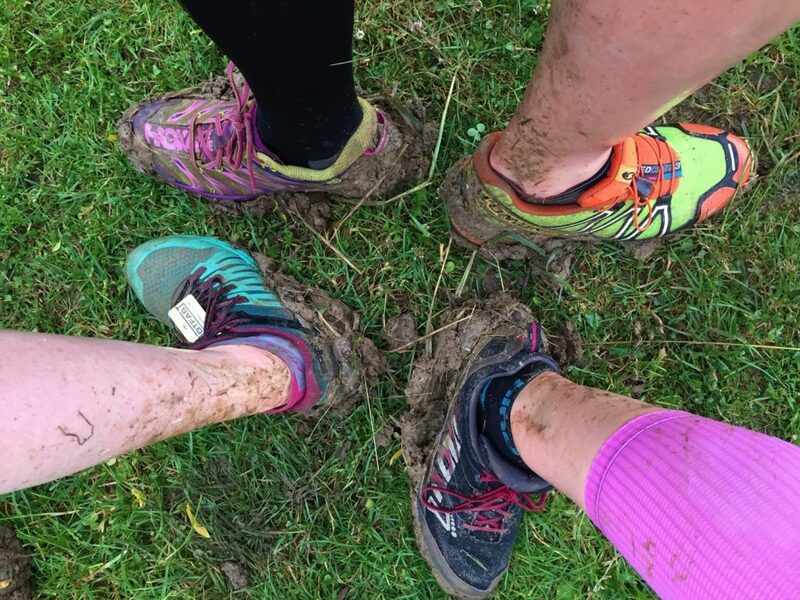 The attraction of paying more for a pair of trail running shoes that will keep your feet dry, or drier, can be great, but bear in mind that it only requires you to step into one deep puddle, or sink to your ankles in one bog, and water will come over the top and into your shoe anyway. Personally, I’d skip the Goretex and save the money for another piece of kit instead! Where is my local running shop? Even with all of the advice above, buying off-road shoes online will be tricky. Great pictures and descriptions, along with recommendations from your running friends, will not necessarily result in a pair of shoes that fits you well and it right for the terrain you’ll be running on. Finding your local running shop and seeking their advice is the way to go. 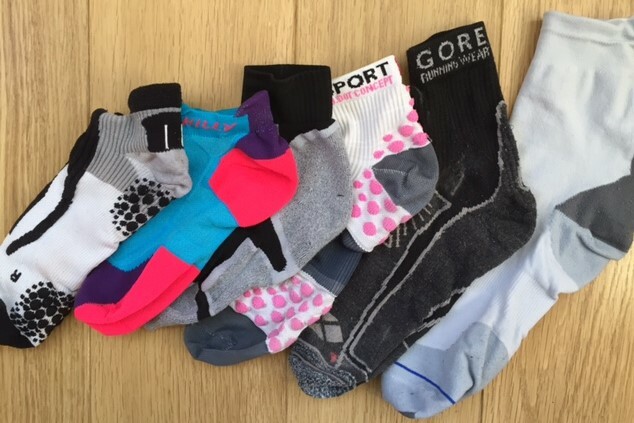 Try on a range of pairs. See what it feels like to have little or no cushioning under your feet, feel and compare the lugs on the soles. OK, you won’t be able to replicate running up a rough hillside (unless you have a pretty amazing shop nearby!) but at least you will be confident that the shoes fit you properly, are comfortable, and have the right kind of grip for where you plan to run. And finally, do beware! Having the right shoes will feed your off-road running addiction. 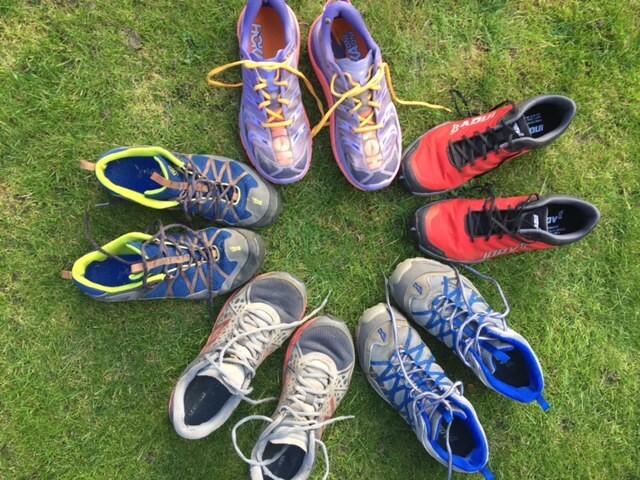 It won’t be long before you are joining the ‘pair-of-off-road-shoes-for-every-possible-terrain’ club! Welcome to the new-look Mud and miles website - and a new blog for sharing all things trail running and more!